More than your typical entrepreneur, founder Dame Anita Roddick was known for her strong opinions and her social activism. 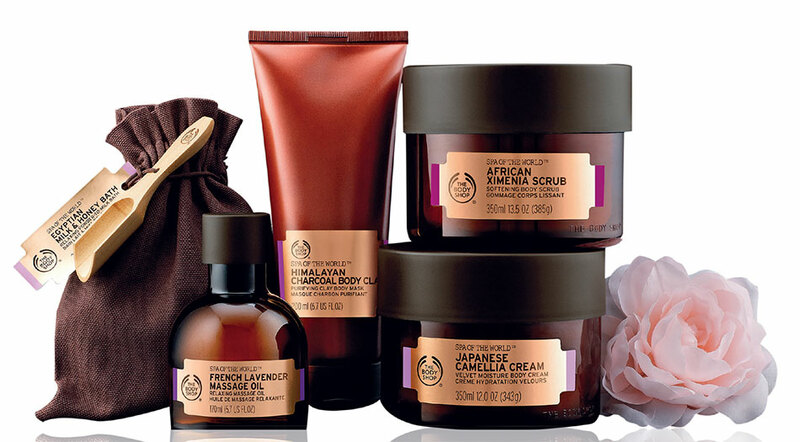 Apart from its dedication to making the planet healthier, The Body Shop is known for its many high-performing products. Their exotic Satsuma range, for instance, is a citrusy, energising collection of products that will make you feel refreshed in an instant. The Almond Milk and Honey collection, uses organic almond milk from Spain along with honey from Ethiopia, to create a range that offers an indulgent, spa-like experience right at home. The fact that the brand worked with the bee whisperers of Beza Mar — a group committed to improving the livelihood of Ethiopian beekeeping communities by helping them maintain their traditional ways of working with bees — to create the range, makes these beauties that much more appealing. This brand brings pastoral Provence to you in the form of delectable-smelling products. 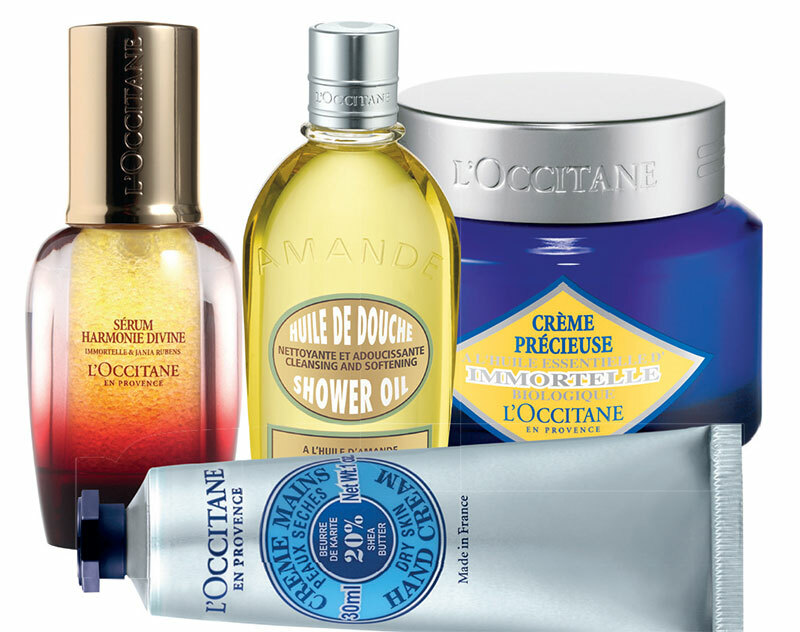 With textures and fragrances inspired by the Mediterranean lifestyle, L’Occitane is known for its attention to detail, and commitment to using the finest ingredients. It makes your beauty routine feel like an indulgence rather than a chore. For a guaranteed hit of hydration, try their shea butter hand cream, a tube of which is sold every few seconds across the globe. The yellow immortelle flower is the star of their Immortelle collection, and for that perfect ‘no filter’ look, the Immortelle Precious Cream is your best bet. If your regular skincare routine isn’t cutting it, try one that is a regular on bestseller lists in beauty halls — the Divine Harmony serum, which blends organic Immortelle Millésimée essential oils, to soothe your skin and give it a much-needed glow. The science of Ayurveda might have originated over 5,000 years ago, but people are still realising how timeless it truly is. And when you have luxe beauty brands that also pay attention to how beautiful their bottles look on your dressing table, you know you’ve picked a winner — Forest Essentials exemplifies this idea. The brand incorporates natural, holistic ingredients and creates seasonal formulations using organic cold-pressed oils, rare plant extracts and herb infusions. Urging you to bid goodbye to harsh, synthetic ingredients with chemicals, toxins and artificial preservatives that offer no benefits, Forest Essentials feeds your skin with products that contain replenishing ingredients. Try the Sanjeevani Beauty Elixir, which uses the herb in a potent formulation, designed to plump and hydrate the skin. Or if you want to add a touch of gold to your routine, sample the Advanced Soundarya Age Defying Facial Serum with 24 karat gold and anti-ageing herbs. 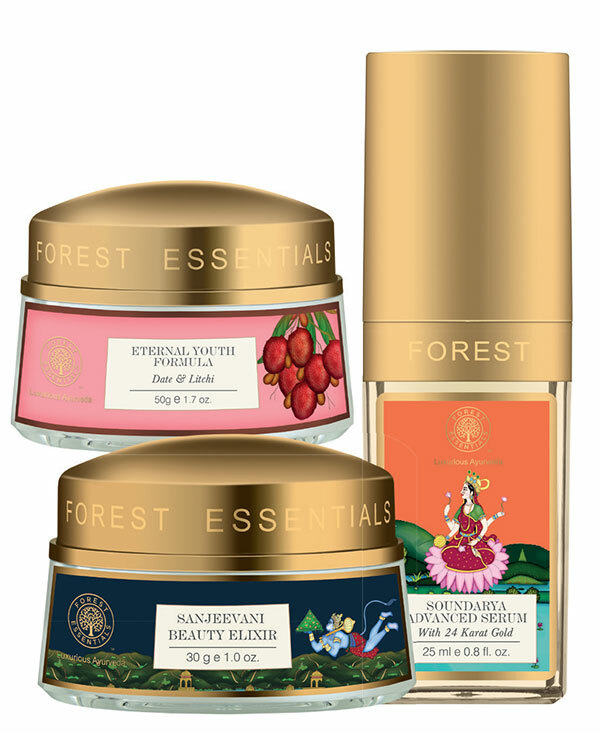 And the Eternal Youth Formula Date & Litchi, a 17th-century formulation that contains sweet almond oil, precious flower, herb and root infusions, fermented litchi juice and date extracts, appeals to all the five senses. Founded in April 2012 by banker-turned-businesswoman Falguni Nayar, Nykaa is a multi-brand online beauty retailer giant that has expanded its portfolio to include a mobile app and several brick-and-mortar stores. Their newest one, the Nykaa On Trend Store, found a home last month at High Street Phoenix. Selling all beauty-related items under one roof, the brand’s offerings include a mix of luxury, prestige and mass brands, offering everything from wellness products to cosmetics. One of its biggest USPs is that it always keeps itself on-trend. Its repertoire includes stocking popular Korean beauty brands that are on everyone’s radar; or their exclusive upcoming launch of Dubai-based beauty powerhouse Huda Kattan’s uber-popular brand, Huda Beauty. If this isn’t enough, they do a pretty stellar line-up of in-house collections. We love their PaintStix! Collection — a series of vibrant, long-lasting lip colours with quirky names like Purple Monster and No Chill Orange. And the Just Wink It! eyeshadow palettes allow you to create any look you want.